Just under 2.1 million were covered by private policies at the end of 2012, a fall of nearly 3 per cent over the year. THE NUMBER of people in Ireland with private health insurance fell by 64,000 last year, according to regulator figures published today. 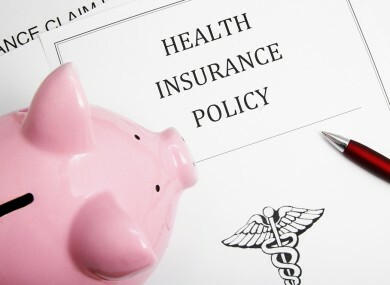 The figures, compiled by the Health Insurance Authority, indicate that 2,099,000 people were covered by private policies at the end of 2012. The equivalent figure at the end of December 2011 stood at 2,163,000. The new numbers mean the proportion of the Irish population covered by a private health insurance policy is now less than 46 per cent of the entire population – down from the peak of 50.9 per cent, recorded in 2008. HIA figures also showed that the average health insurance premium rose by 12 per cent last year, and now stands at €1,048 for each person covered, including children. People with health insurance paid total premiums of €2.23 billion, an increase of 9 per cent from 2011. GloHealth increased its premiums on core, outpatient-only and cash plans by up to 8 per cent, and on personalised packages by 10 per cent, at the end of January. Email “Numbers with private health insurance fall by 64,000 in 2012”. Feedback on “Numbers with private health insurance fall by 64,000 in 2012”.